Giving online is a safe and easy way to give. Simply click here for our online giving page. Give Online Here! Then follow the prompts to choose giving options. 2. Give through your bank. 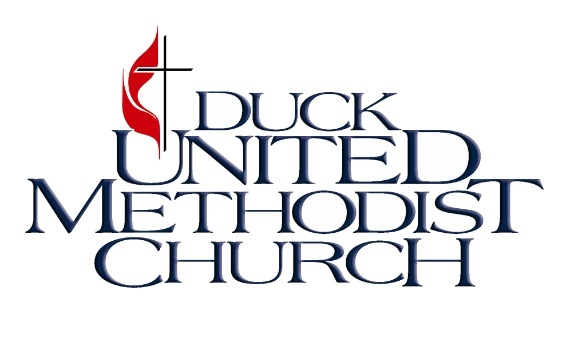 You can also utilize your bank’s bill pay service to have checks automatically mailed to Duck UMC, P. O. Box 8010, Duck NC 27949. 3. You may choose a debit/credit card. Go to www.duckchurch.org then to “Online Giving”, or complete the information on the giving envelope. Your information will be processed through our online giving service. 4. Give on Sunday at Duck UMC. You can give on Sunday using the envelope found in your bulletin. Simply complete the information on the envelope and drop it in the offering plate as it is passed. 5. Give by mailing your gift during the week. Mail your Sunday giving envelope (self-addressed, postage paid) to the Duck UMC office. For more information about these giving options email office@duckchurch.org.